Pregnancy, childbirth, chronic constipation, chronic coughing, surgery, trauma and aging can cause pelvic floor muscle tension, incoordination and weakness. We offer an innovative approach in a peaceful, supportive environment—that's designed by women for women. With our specialized Breast Cancer Rehabilitation program, patients are evaluated and treated for lymphedema, range of motion restrictions, and deficits with participation in daily activities. Our physical and occupational therapists have advanced, specialized training in the management of musculoskeletal conditions during and after pregnancy that may lead to pain and dysfunction. 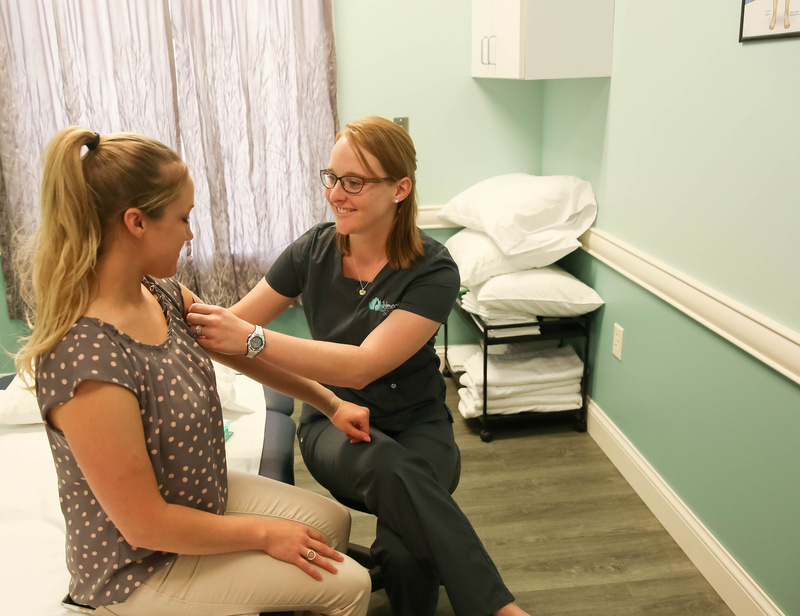 Our team can treat any upper extremity, lower extremity, abdominal, or head/neck swelling utilizing a combination of specialized massage, compression garments, and specialized pump systems. "I have been seeing my therapist for only a short time, but already I notice a change in my body- the way it feels and the way I walk. Even my posture seems to have improved."